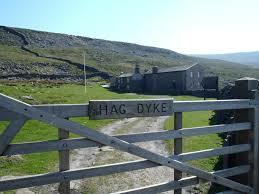 The Scout Troop will be visiting Hag Dyke on the weekend of 16th to 18th October 2015. Please see below for details. Please click on the links below to download a letter about the forthcoming weekend visit to the Group’s hostel above Kettlewell, Hag Dyke. Also in the links is the permission form that you need to complete and return to Scouts if your son or daughter wants to join us on the weekend. If you have any questions about the weekend, please ask a leader. The new programme for the Autumn Term starting Friday 11th September has been published. The new Scout Troop programme has been published and shows the activities that will be happening each week between now and the end of November. Please visit the Programme page to see the details. We are beginning to plan our camp for next year and hope to tell you more about it soon. In the meantime, please note that the camp will take place from 23rd July to 30th July 2016. Don’t forget we also have a weekend at Hag Dyke coming up soon. We will be going from 16th to 18th October and a letter and permission form will be published on the website in the next few days. Look back here soon….